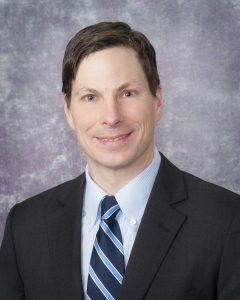 Alexander M. Spiess, MD, is an Assistant Professor of Plastic Surgery and Orthopaedic Surgery at the University of Pittsburgh School of Medicine, where he is the Division Chief of Hand Surgery. He is Program Director of the Department of Plastic Surgery Hand Surgery Fellowship, and Co-Director of the UPMC Center for Nerve Disorder. Dr. Spiess graduated with honors from University of Illinois at Chicago Medical School, including induction into the Alpha Omega Alpha Medical Honor Society. He completed his plastic surgery training at Wayne State University in Detroit, Michigan. He the completed fellowships in Hand and Microsurgery at the University of Pittsburgh Medical Center and Thomas Jefferson University/Philadelphia Hand Center. He is board- certified in Plastic Surgery, and has a certificate of added qualification in Hand and Upper Extremity Surgery. His clinical focus is on hand and upper extremity surgery, treating routine and complex injury to the bones, ligaments, tendons, and vessels about the elbow, forearm, wrist, and hand. He also has expertise in the treatment of upper and lower extremity peripheral nerve dysfunction, with a specific interest in the treatment of complex peripheral nerve and adult post traumatic brachial plexus injury, using state of the art nerve grafting and nerve transfer techniques. His research interests include outcomes of Vascularized Composite Allotransplantation (VCA), and the design of novel immunomodulatory regimens as they relate to VCA. He is also investigating new techniques to improve peripheral nerve regeneration and reconstruction. Dr. Spiess is a member of various professional societies, including the American Society for Surgery of the Hand (ASSH), American Society of Plastic Surgeons (ASPS), American Association of Hand Surgeons (AAHS), American Society of Peripheral Nerve Surgery (ASPN), American Council of Academic Plastic Surgeons (ACAPS), Plastic Surgery Research Council (PSRC), and the American Society of Reconstructive Transplantation (ASRT). He has held committee chairmanship positions in both the ASSH and ASPS, and is currently the chief medical editor of the ASPS sponsored Plastic Surgery Resident magazine. At a national level, he is an oral examiner for the American Board of Plastic Surgery. At a local level, he is a member of the University of Pittsburgh School of Medicine Admissions Committee and Institutional Review Board.